Originally out in 1991 on SNES, this revolutionary RPG finally comes to PC as a port of the Nintendo DS enhanced remake from 2012 with 3D graphics. The military country of Baron is one of the strongest in the land, with a proud army and a majestic air force known as the Red Wings. However, the recent actions of the king make even the most loyal of his subordinates doubt his judgment. The captain of the Red Wings, Cecil, is ordered to attack the city of Mysidia and take the Water Crystal from innocent magicians who protect it. When Cecil questions the king's orders, he is immediately thrown out of the country and sent off to deliver a package to the village of Mist, accompanied by his best friend Kain, the captain of the dragoons. Little does he realize that the king's inexplicable behavior is but a part of a much larger picture, which he is yet to reveal. 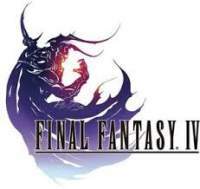 The fourth entry in the Final Fantasy series was released as Final Fantasy II in the West, because the second and the third game were not released there at the time. The game is a Japanese-style RPG with top-down world map navigation, automatic leveling up, and random enemy encounters. The game introduces a system called ATB (active-time battle). While combat is turn-based in its core, the game does not pause when the player accesses the battle menu. Enemies continue to act in real time regardless of the actions of the player-controlled party. The turns of the participants are calculated depending on their agility rating. Each player-controlled character has a special bar that gradually refills itself; said character may act when the bar is full. Unlike all the previous Final Fantasy games, the fourth installment does not allow the player to customize the characters' abilities and classes. Each character belongs to a specific, clearly defined class: dragoon, white mage, black mage, summoner, ninja, etc. Each of these classes has distinct special abilities or magic spells. New abilities are learned automatically when a character reaches a pre-determined level. Characters join and leave the party as dictated by the game's plot events. The active party includes up to five combatants. It features: fully voiced dramatic cut-scenes; deep emotionally charged character development; all-new system for charting dungeons and uncovering the secrets within; and inspiring score accessible at anytime from the built-in Jukebox.